Imperfect Cognitions: Emotions: Do they control us? 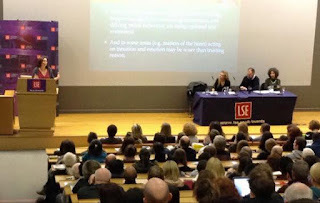 On 18th January Beth Hannon at the Forum for European Philosophy organised a public event at the London School of Economics, "Emotions: Do they control us?". 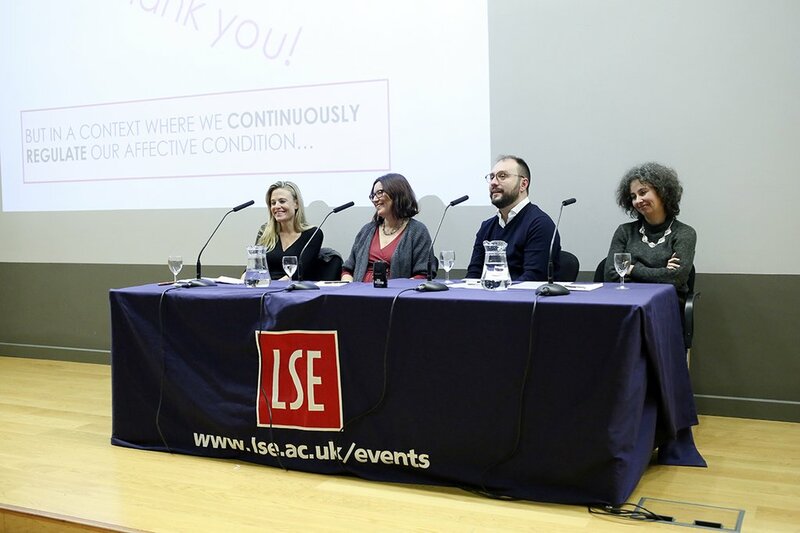 The event featured Tali Sharot (University College London) as chair and Giovanna Colombetti, Benedetto De Martino and myself as speakers. I am reporting some of the discussion we had here. If you want to listen to the whole event, there is a podcast free to download as well. I was the first speaker, and I talked about how emotions did get a bad press among philosophers embracing rationalism. Starting with Plato, who thought that the soul could be in harmony only when reason was in charge of drives and appetites, through to Descartes who studied emotions in depth and concluded that it was easy for them to lead us astray. To challenge the idea that emotions only have a disruptive role to play, I relied on two milestones of the recent thought on emotions, Damasio's somatic marker theory according to which emotional reactions to remembered and imagined events are crucial to our capacity to make decisions, and De Waal's emphasis on the importance of empathy in driving moral behaviour in primates and humans. I ended by saying that in some contexts following intuitions and emotions leads to better outcomes than following reason. Next, Benedetto de Martino, neuroscientist at the University of Cambridge, gave a most entertaining presentation, comparing two extremes: Spock from Star Trek, whose rationality is undisturbed by emotions; and Tony Soprano, whose behaviour is dictated by emotions. Although human agents believe that they can be like Spock (and economists treat them as if they were ideally rational agents), often they are like Tony Soprano. Psychology and neuroscience can help us understand why. Benedetto focused on fear, an emotion associated with great evolutionary advantages and with the fight-or-flight response to danger. When we identify a threat, we run away from the source of the threat. This helps us survive. An emotion is a pre-programmed physical and psychological response to certain situations that will affect action and cognition. Most effects are positive, but in some situations emotions lead us astray. Benedetto offered the example of framing effects as an illustration. Giovanna Colombetti, philosopher at the University of Exeter, was the third speaker. She approached the theme of emotional regulation from the point of view of embodied and situated affect. How do we control our emotions? Reason is not the only way we do it. We tend to use our body and our environment to help us. Experiments have shown that if we put a pen in our mouth, arranging our muscles in the same way as they would be arranged if we smiled, then we tend to find a comic strip funnier. When we want to appear in control, we tend to adopt a certain bodily stance and to dress formally, to project a confident image. We use retail therapy or eat chocolate to make us feel (temporarily) good. These are all examples of situated regulation. Tali Sharot's questions to the panel and the discussion with the audience were extremely interesting, bringing to the fore the importance of understanding what emotions are, how they can be regulated, what their relationship with cognition is, and whether they contribute to rationality. The overall message was that it is actually quite difficult to draw a sharp distinction between cognition and affect when we consider specific instances of human behaviour, and that we need the joint effort of philosophers, neuroscientists and psychologists to map the complex role of emotions in our lives.